As I write this I am slap bang in the middle of the talks season. It is always a pleasure to visit clubs up and down the country but more importantly it is an honour to be asked to do so. The welcome that is extended to you is very humbling and I do my best to make the evenings as enjoyable as possible. I will be wandering around having look at the show and if you see me please come up and say hello. Always nice to chat to folk on line but much better to meet in person. My talks season resume in the autumn after the summer recess and should you wish to book me please drop me an email and hopefully we can arrange a suitable date. At present I am taking bookings as far ahead as 2021. Don’t let that put you off as I am sure we can always find a date somewhere along the way. Never failed yet. I have actually managed to get out and about for myself recently, (only attained half a dozen days all last year) and as Snowdonia is a hop skip and a jump away I made several trips. I have loved the area since a boy and never tire of going back. My wife and I took a trip over there a few weeks ago at the back end of the snow and it didn’t disappoint. 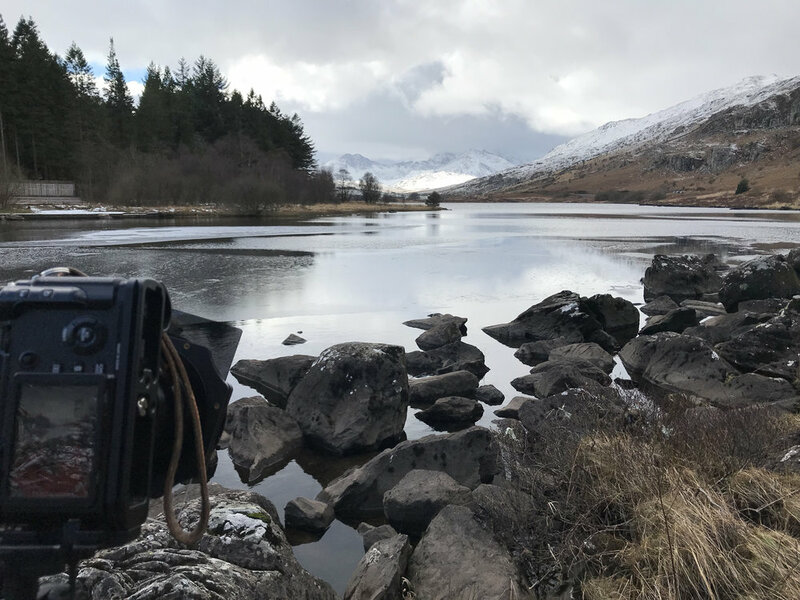 We made a follow up trip and I rediscovered the joys of Plas y Brenin. What a wonderful location. it is firmly back on the schedule now. The weather has now turned a tad warmer and the prospect of snow seems distant but this is the UK……. Enjoy whatever you do wherever you go.